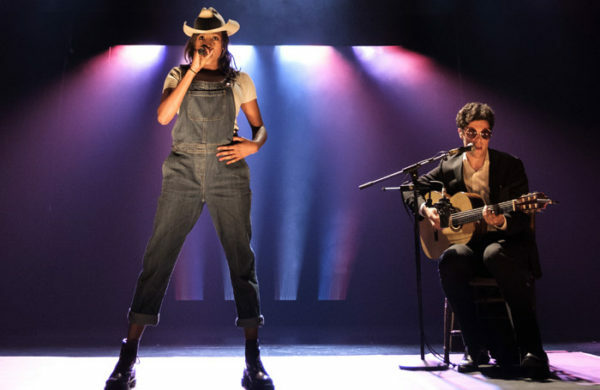 The mythology of touring: David Ralf reviews Charlie Fink and Jade Anouka performing a work combining Fink’s new album with a monologue by David Greig. 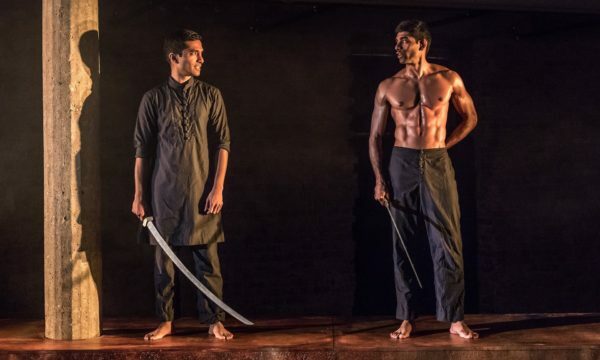 A stage awash with blood and smoke: David Ralf delves into the uneasy moralities at play in Jamie Lloyd’s production of Rajiv Joseph’s brutal two-hander. 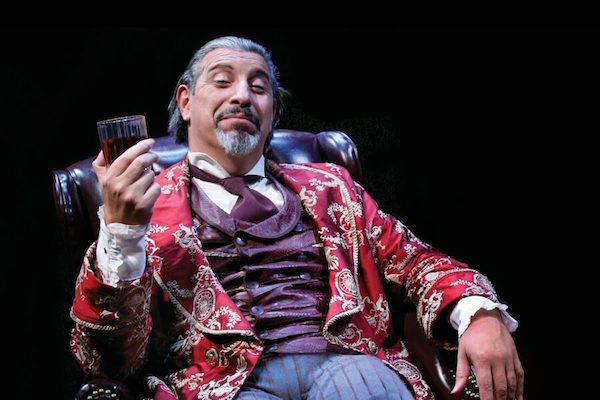 ‘The hairless bipeds he has created’: David Ralf reviews an adaptation of C. S. Lewis’s The Screwtape Letters. 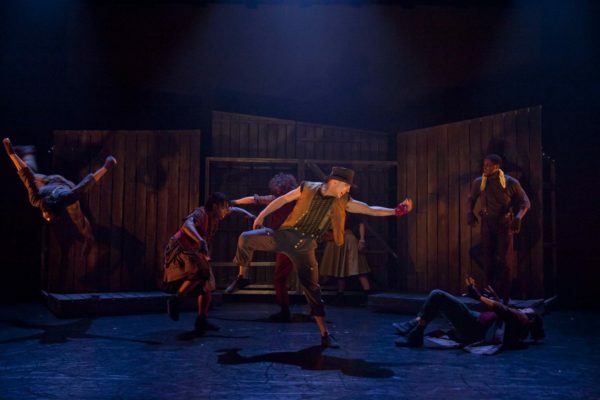 There’s trip-hop, breakdancing and more in Tony Adigun’s dance retelling of Oliver Twist. 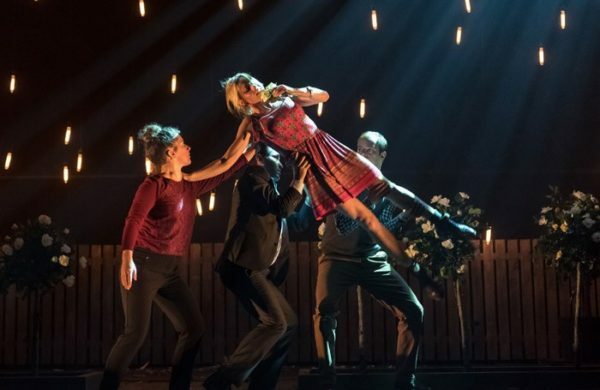 Ritually killing the nuclear family: David Ralf reviews Frantic Assembly’s latest show at the Lyric, Hammersmith. 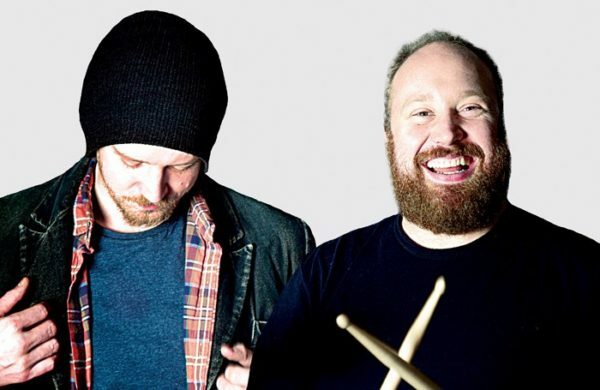 Give it away: David Ralf reviews Jonny and the Baptists at the Edinburgh Fringe. 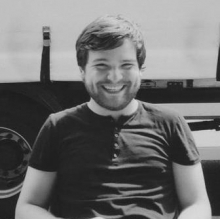 Digestive biscuits and acid house: David Ralf reviews In Bed With My Brother at the Edinburgh Fringe. 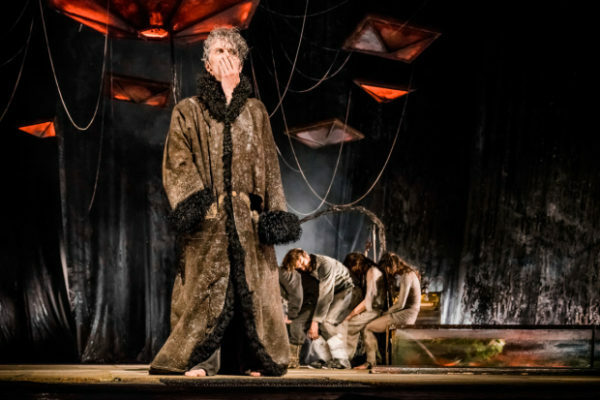 A steampunk, dreamlike fantasia: David Ralf reviews James Thiérrée and company at the Edinburgh International Festival. 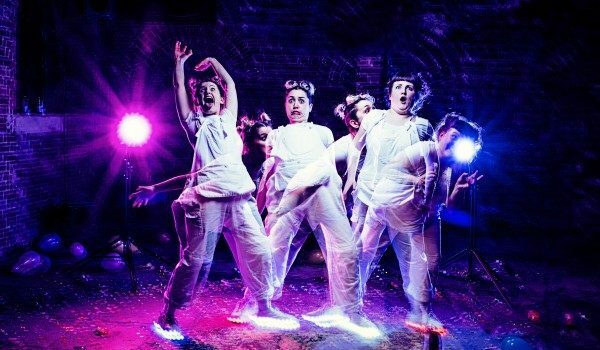 A thoroughly uplifting apocalyptic show: David Ralf reviews DugOut’s latest play. 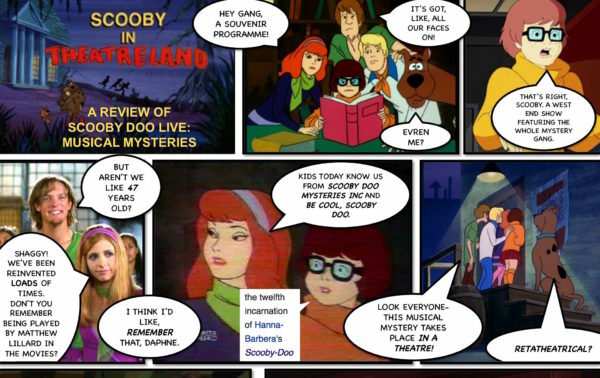 David Ralf’s illustrated review of Scooby-Doo! at the London Palladium. 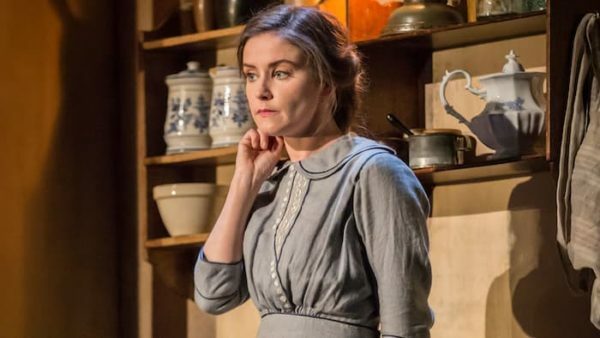 David Ralf reviews the National Theatre’s frustrating centenary production of Sean O’Casey’s Easter Rising play. 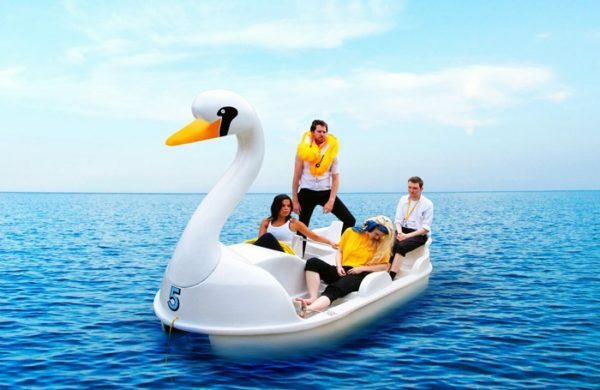 “Something has to give”: David Ralf reviews the UK premiere of C!RCA’s new show at Latitude. 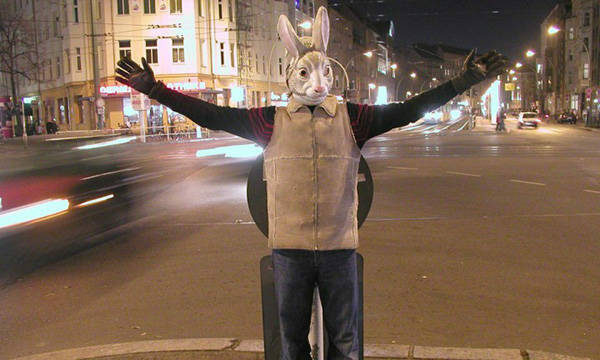 Initiating conversations while wearing a rabbit mask: David Ralf reviews Gob Squad’s city-based project in the city-less surroundings of Henham Park. 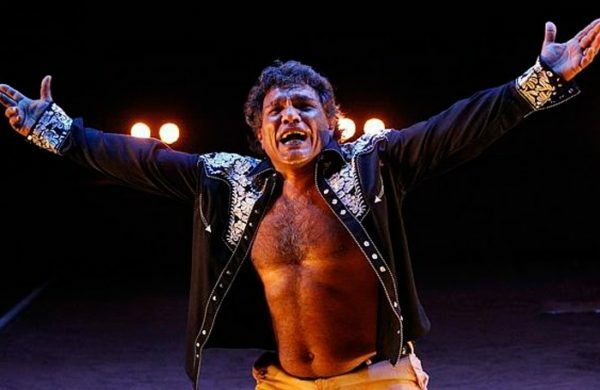 “The land was never any man’s to sell”: David Ralf reviews Malthouse Theatre’s adaptation of King Lear. 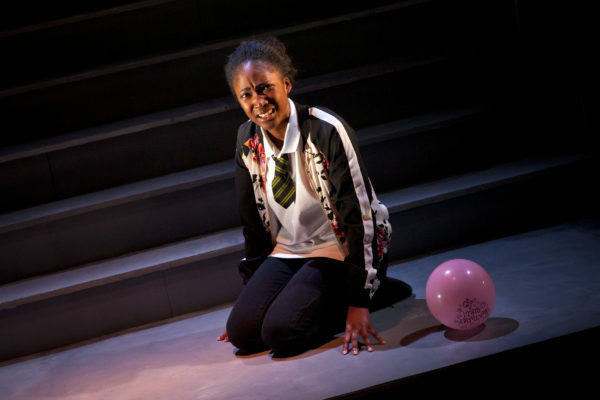 “The red fencing above is torn, twisted metal.” David Ralf reviews Charlene James’s new work confronting FGM in Britain.